Vendors/exhibitors when would YOU prefer to attend a national bike trade show? 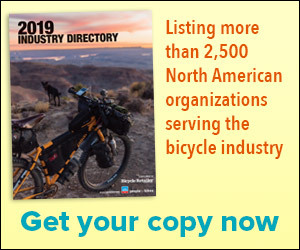 Read more about Vendors/exhibitors when would YOU prefer to attend a national bike trade show? Retailers, when would you prefer to attend a national trade show? Read more about Retailers, when would you prefer to attend a national trade show? BRAIN is celebrating our 25th anniversary. How long have you been reading us? Read? I just get it for the pictures. Read more about BRAIN is celebrating our 25th anniversary. How long have you been reading us? What's your No. 1 reason for attending Interbike? Read more about What's your No. 1 reason for attending Interbike? Quick! Who's leading the Vuelta a España? Read more about Quick! Who's leading the Vuelta a España? Retailers, how many folks are you sending to Interbike this year? Read more about Retailers, how many folks are you sending to Interbike this year? Retailers: How many dealer events did you attend this summer? None-can't afford to be out of the shop during my busy season. Read more about Retailers: How many dealer events did you attend this summer? Do you support legislation allowing local rules on bikes in Wilderness Areas? Read more about Do you support legislation allowing local rules on bikes in Wilderness Areas? Retailers, does your store do something special for the Tour de France? Yeah, we do it up! It's a big deal for our store. We do a few things to mark the occasion. Not really. Not a big deal for us. Read more about Retailers, does your store do something special for the Tour de France?